What Could We Do To Keep You? Retention is a critical issue and a top priority for HR and their organizations because losing good talent hurts in so many ways. But how do you know what you are doing wrong or why they left, unless you ask? That is the sole purpose of an Exit Interview; to give you the insight you need to prevent good employees from leaving. Time spent and lost in interviewing. What could you have been doing instead? Productivity plummets during a job search- You start losing money the moment your talented employees disengage; instead of working for you they are updating their resumes. They’ll take their brilliance and (perhaps) your customers with them.- Loyal customers will follow people they like. The cost of that loss can be huge. Training a new person takes time before they can contribute. Meanwhile the team carries the load…at what cost. New hires don’t always measure up. Replacing a great employee is a risk and if the new hire isn’t as wonderful as the one you lost, what does that cost? A simple and effective tool to help you keep your existing employees is an Exit Interview. Not all employers take advantage of exit interviews, which is a missed opportunity because this could be your best opportunity to receive a raw, honest response from employees before their departure. Use this opportunity to ask why they are leaving. In some cases there is nothing you could have done to prevent them from going (spouse was transferred, staying home to care for sick parent etc.) Often people leave for preventable reasons and this is what you really want to know. If your exiting employees could tell you why they found your competition more appealing or why they disliked working for you, then you could prevent the departure of further employees. Make it clear that you’re there to listen to their experiences, feelings and judgments. 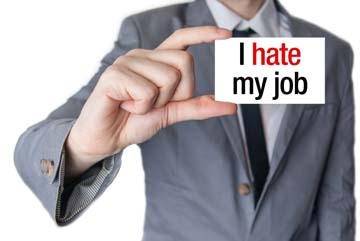 Reassure employees that their feedback will not result in any negative consequences. Remember that they’re doing you a favor by giving you advice. We encourage you to find out why they are leaving. Your return on investment will be an increased understanding of those on your team. And what might that lead to? Increased commitment, productivity, innovation, and success for you, your team and your organization. For more information about Exit interviews and to learn about our easy-to-use Exit system, contact us at info@insightlink.com or go to our website at http://www.insightexit.com/.